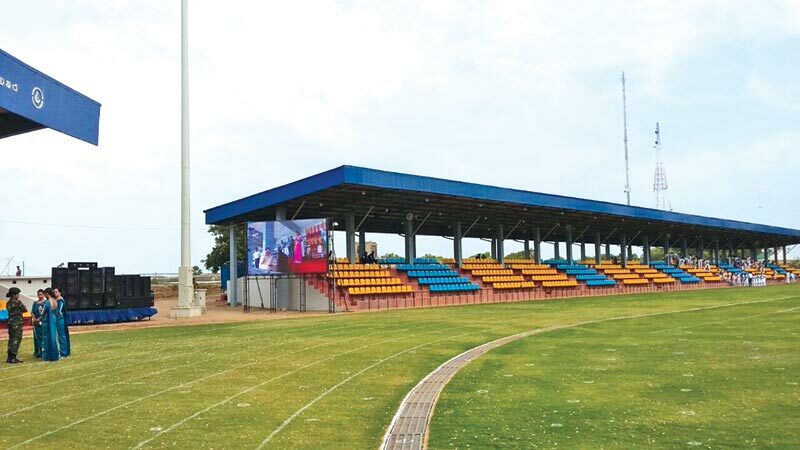 Sri Lanka will hold the first ever National Sports Festival in the North when the 42nd National Sports Festival will be held from September 30 to October 2 at Durayappah Stadium in Jaffna amidst the government's full patronage. After eradicating the 30-year-old war, the new Sri Lankan government has decided to hold the national sports festival in the northern region, which had been devastated by the terrorists. The four-day national festival will kick off on September 30 at 3pm with the participation of Speaker Karu Jayasuriya as Prime Minister Ranil Wickremesinghe will be on an overseas tour. All the top class national sportsmen and sportswomen are due to take part in almost 33 sports of which eight are new sports included for this year's meet. It is the first time that a national sports festival will be held in the North since it began in 1967.